Thesis Technologies serves clients across the U.S. and Canada by providing custom software solutions. We have had the opportunity to work with hundreds of small and medium size companies along with larger Fortune 500 companies. Our clients usually have one thing in common, they have challenges caused by business systems that are creating inefficiencies, redundancies and opportunities left on the table. Often these challenges lead to dissatisfied customers and frustrated employees. 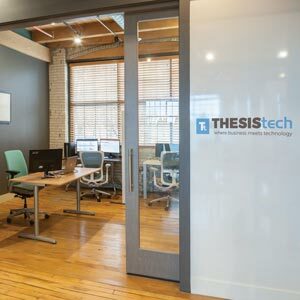 We believe our wide range of technology solutions combined with our many years of business experience make ThesisTech a great choice for your custom software development project.